John started his career in education, receiving BA Degree from the University of South Dakota and a Masters of Education from Iowa State University. He was a teacher, coach and principal in the Fort Dodge St. Edmond school system for many years. 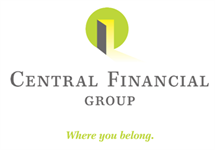 John joined Central Financial Group in 1986. John is a native of Carroll, Iowa and resides in Fort Dodge with his high school sweetheart and wife Connie. Their grown daughters, Christine and Jennifer and their husbands and kids live in Clive, Iowa. Much of John and Connie’s spare time is spent attending their grandkids activities. Community involvement is a very important part of his life. He is currently serving on the Board of Directors of the Fort Dodge Community Foundation and United Way and the Webster County Crime Stoppers Board of Directors. He is also a Civil Service Commissioner for the city of Fort Dodge and has served as a Parish Director for seventeen years for Holy Trinity Parish and many other volunteer activities and involvements. John is a Baby Boomer and plans to continue working for many years because he knows retirement income planning and Baby Boomers need his services.